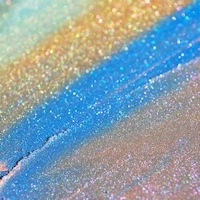 KTZ® Pearlescent Pigments offer great versatility in a broad range of cosmetic applications. These oxide coated mica platelets may be used to impart color and visual effects to lip, face, eye and nail products as well as toiletries, body make-up and sunscreens. Our White, Interference and Earth Tone pigments are available in a variety of invigorating hues and particle size distributions. Depth, dimension, sensual sheen and captivating sparkle are but several of the product enhancing effects possible with the use of KTZ® Pearls. The entire range of KTZ® Pearls is also available treated with Triethoxycaprylylsilane (Silane treatment, Kobo Code 11S) or with Isopropyl Titanium Triisostearate (ITT treatment, Kobo Code I). These treatments decrease surface activity, maximize water repellency and allow for easy formulation in esters, mineral oils and silicone fluids. KTZ® Multicolor are pearl pigments made by coating an Interference pearl with a large layer of Iron Oxide. This layer of Iron Oxide not only adds absorption color to the pearl but it also advances the shade of the reflection, which causes an unusual interplay of color. KOBOPEARL® PERPETUAL offers intense, brilliant color and luster for a variety of color cosmetic products. 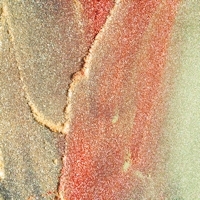 The perpetual pigments demonstrate color travel, due to a unique process of TiO2 or Iron Oxide coated on Synthetic Mica or Borosilicate substrate. 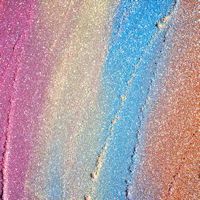 K-RAY® is a new range of Special Effect Pigments available in White, Interference, and many vibrant colors and particle sizes which can impart depth, dimension, sheen and sparkle to a wide range of personal care products. Different substrates are available: Natural Mica (K-RAY®), Synthetic Fluorphlogopite (K-RAY® SM) and Calcium Borosilicate (K-RAY® G). The range includes Magnetic and Optical Variable Pigments (OVP).